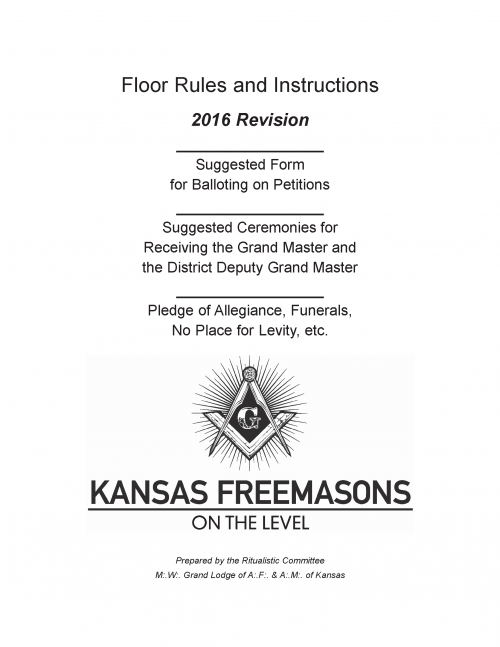 It is with great pleasure that we are able to provide the 2016 revision of the Floor Rules and Instructions. You can find this new revision in the Member Area – References, Manual, and Forms (downloads) page of this site. Thank you to the Ritualistic Committee for all their hard work making these revisions.